There's a second Explorer on the way, a more fuel-efficient turbo four-cylinder that Ford promises will be 30 percent more efficient than the last-generation ute. The Explorer Sport Trac? On permanent vacation, we're told. The 2011 Ford Explorer a formidable shot right at the heart of the crossover market--one that's sure to pull some of the remaining SUV loyalists off their very high horses. Reinvention's become the calling card of Detroit in this new century. 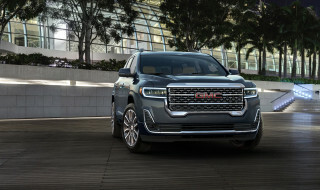 GM and Chrysler are fundamentally different companies than they were before their bankruptcies, and both are surging on the strength of new vehicles like the Equinox and the Grand Cherokee. The reinvention's been most dramatic, though, at Ford. Without going through the agita of restructuring, Ford's simply banked everything it owns on a new range of Blue Oval-branded cars, trucks and crossovers. 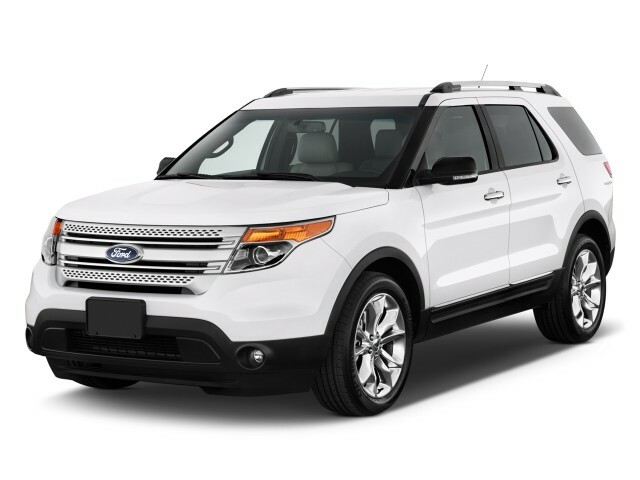 None are more important to the company's image than this new 2011 Ford Explorer. In the 1990s, the Explorer nameplate fell out of the sky, after a devastating tire recall knocked it from the best-selling list. 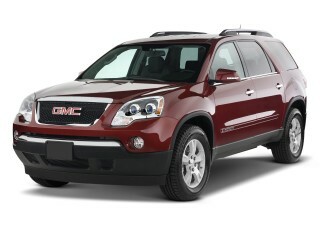 Then rising gas prices took their shot at the fallen SUV. And then Ford had its own near-miss with insolvency. Today, Ford's house is in order, and the total transformation of the Explorer from truck-based sport-ute to family-friendly crossover is complete. And not just complete, but convincing. It's dropped most of its go-anywhere pretense, and instead sends reassuring messages to all those old Explorer owners--six million of them--that this new vehicle is better than ever on the pavement, while it still keeps some of its trail-riding talents on reserve. The new Explorer is part of the car-based family that also counts the Flex, even the Taurus, as its members--but driving it in V-6 trim proves that it's "SUV" enough for anything short of the heaviest of off-road duties. It looks the sport-ute part, but drives more like the Taurus, with well-tuned electric steering and a finely damped ride. True to SUV form, it's also a little taller and stubbier than Ford's own curb feeler, the seven-passenger Flex, but still plenty spacious, not to mention handsome and well-fitted. It's also promising to be a safety leader, with new features like inflatable rear seatbelts--all the better to shine up its tarnished reputation. And there's no escaping the fascinating MyFord Touch, which lets you guide secondary controls with a fingertip or your voice, instead of buttons--even if it's forcing casual consumers to re-learn a few things. From the same pieces, the seven-passenger Explorer is the yin to the seven-seat Flex's yang, even if the big boxes can't interlock with the same graphic perfection. It's a tremendous vehicle--and it's this year's North American Truck of the Year, as voted by this continent's most respected journalists. Is the 2011 Ford Explorer the "21st-century SUV," as Ford likes to suggest--or is it a different strain of the same crossover DNA? We say the Explorer's no dainty roadflower, and it's more than willing to get some dirt under its fingernails--even if it's a bit shy to tackle the terrain extremes you'll see courtesy the Jeep Grand Cherokee. A convincing SUV body and a striking, well-executed interior give the 2011 Ford Explorer a visual leg up on almost every other crossover, even the expensive German ones. The old Explorer was a truck that pretended to a higher level of sophistication; this one does a Meryl Streep take on the peculiar SUV dialect, nailing the finer points and going a long way to winning you over to its interpretation with a few subtle twists. There's more SUV in the new 2011 Ford Explorer's sheetmetal, than anywhere else in or on the new ute. If you're worried passers-by will know you're driving a family vehicle, though, don't. The Explorer's body looks as trucky as ever, in the best way possible. Follow its angled sheetmetal around the car, and and you'll pick up on the slight rolled corners and embossed sides that give a gentle carlike nudge to the upright shape. 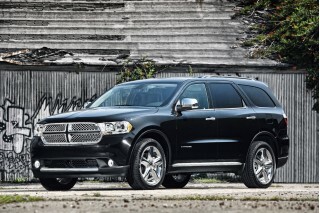 It telegraphs "SUV" more than you might think possible, since the undergear also comes in Taurus SHO form. 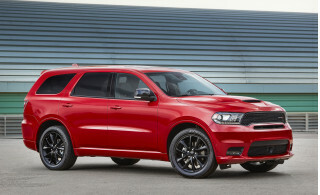 That high hood, the tall grille and those thick horizontal ribs conspire with the distinct angle of the C-pillar to hark back to the days when the Explorer was the best-selling wagon in America. Details like the perforated grille pieces and big winged taillamps and a minivan-ish tailgate are more like the pieces you'd see on passenger cars, but they tend to fade into the background, behind the sport-ute talking points. Once you're inside the Explorer cabin, the SUV impression falls apart--for good reasons. The oldest Explorer had a miserable interior, and the last version was simply boring and plain. This time Ford pointed out Audi and BMW interiors as their targets. Given the knockout interiors in the new Flex and F-150, the Explorer's convincing, well-made cabin knocks off some of those high-falutin' targets, easily. The Explorer dash is far more handsome than, say, the Audi Q7; it's on a plane way above the gross-grained Honda Pilot and the spotty Toyota Highlander. The new Jeep Grand Cherokee comes close to the Explorer's virtuosity, the Dodge Durango, a little closer even--but the Explorer's nifty blend of LCD gauges and screens, those exclamation points of metallic plastic on the center stack, and the tight fits between lots of dissimilar pieces, make the cabin exceptional. The 2011 Ford Explorer trades SUV bona fides for a bona fide carlike ride and handling. There's a massive grey area in the SUV/crossover segment. What's truly a crossover, and what's more a sport-ute? The Explorer wants it both ways, and it nearly gets it. While the Jeep Grand Cherokee goes out of its way to earn its own internal designation of "trail-rated," the Explorer embraces car-based running gear and a host of electronica to get you about 80 percent of the way to the same destination. Your first clue should be on the spec sheet, where "FWD" (front-wheel drive) is the base drivetrain configuration. Jeeps can have HEMIs; the 2011 Ford Explorer downsizes itself into a greener pasture, with a standard 290-horsepower, 3.5-liter V-6 hooked to a six-speed automatic. Lots of tuning and quieting has sweetened this engine's personality; it's now possible to talk to second-row passengers while you're driving. It also performs better than last year's V-8 Explorer: with 255 pound-feet of torque and lower gearing for its first four gears, it's practically sprightly off the line. Some versions even have a switch to engage a sport mode that speeds up transmission and steering responses. The Flex gets paddles for the same duty--the Explorer's lack of shift paddles means you have to remove a hand from the wheel to engage the mode, but at least the transmission responds quickly to calls for shifts, and has aggressive logic that holds lower gears much more readily than some other automatics. While the Jeep rides on an SUV architecture spun from the same metal as the Mercedes ML-Class, the Explorer rides on car-based bits. They're beefed up a bit, but there's no mistaking the carlike mien that an independent suspension and electric power steering give this new Explorer. It channels its inner tall wagon with well-quelled ride motions, with the help of its hefty curb weight. It doesn't feel top-heavy, even though it sports nearly 8 inches of ground clearance. Steering feel is the Explorer's big win. The new ute cuts into corners with zeal and unwinds almost naturally, even though its pump-less steering uses sensors and wires to keep in sync with the road ahead--or to help the Explorer parallel-park itself, an optional feature way up near the most expensive end of the order sheet. When you order four-wheel drive, Ford heaps on an extra helping of electronics to overcome some of the compromises it's baked in to make the Explorer feel more friendly in everyday driving. It centers around one knob that controls a new multi-mode, terrain-management system. The system can tweak throttle speed, transmission shifts and all the traction needs at each wheel independently in Normal, Mud and Ruts, Sand, and Snow modes. For most drivers, the setup takes out much of the mystery of the proper technique in tackling mud pits, sandy bogs and extreme downhill grades. Turn the knob and the Explorer will trundle right down a road full of alternating deep ruts, for example, using its anti-lock sensors and programming to pick out patches of traction and to make up for a lack of grip. The problem is an esoteric, extreme-user-case one: all those electronics can't smooth over the transitions between slipping the same way a skilled driver can with left-foot braking. 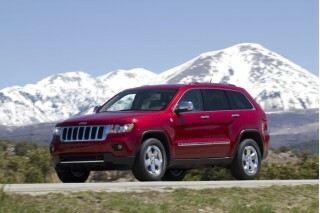 And without a real locking differential, the toughest rock crawls will have to be left to other vehicles. Ford hasn't mentioned a skid-plate package, and the Explorer's tow rating is down to a maximum of 5000 pounds, which the company reckons is a sweet spot for its customers--moving trailers, jet skis, and the like are no problem. If you're ready to quibble over the Explorer's lack of frame rails, its lack of a low gear ratio, its electronics takeover, and its good, not great, towing capability, you're missing the greater point. Ford finally has admitted that nearly all of its Explorer buyers are fine with less ultimate off-road capability, while they want better ride and handling, better fuel economy, and more refinement--the kinds of things that only come with car-based underpinnings. On those terms, the new Explorer's dynamically a big win. With a skosh less people space than the seven-seat Flex, the 2011 Ford Explorer still suits at least five people with room to spare. The 2011 Ford Explorer won't match the company's own Flex for the kind of horizontally usable space that makes it easier to load people and cargo. Even so, the new Explorer lays out its cubic feet and features with swell attention to headroom and easy access. Up front, the Explorer supports driver and passenger with softer cushions and active headrests that don't press forward too far, as has been the case on some recent Fords. The second-row seat is a little less cozy. Without the sunroof option, headroom soars more than four inches over a six-foot passenger and there's no doubt the Explorer's a wider vehicle than before (by about five inches). Two adults fit easily, with room for a child between. The quibbles are with the Explorer's seat-bottom cushions. With the standard second-row bench seat, that bottom cushion is short, and tilts down at its front edge a bit. The Explorer lacks the sliding second-row bench you'll find in the more compact Chevy Equinox--but we'd still trade that for a properly angled bottom cushion. Even though it's an "SUV," according to the ads we've seen, the Explorer apes the most clever crossovers with easy-flip seats. The second-row chairs have levers that make it easier to fold the seats for access to the cramped, kid-sized third-row seat. The second-row bench can be swapped out for buckets, which still flip forward. When it's time to haul more cargo than people, the Explorer's third-row seat folds out of the way--with power controls, if you want to save those ergs for spin class. In that cargo bin, you'll find some of the Explorer's least pretty plastics and trim, but you'll also be able to cram in 21 cubic feet of stuff. That's just behind the third-row seat; tip forward the back two rows, and the Explorer lays 81 cubic feet of open room at knee height. It's almost all available, since the Explorer's seats fold flat and offer up a less vulnerable grade of carpeting than you'll find in a pricier SUV. With a Top Safety Pick award under its inflatable seat belt, the 2011 Ford Explorer is on its way to class-leading crash protection. All sorts of safety technologies are integrated into the 2011 Ford Explorer's cocoon, and the results are showing up already in at least one set of safety scores. On every Explorer, Ford fits dual front, side and curtain airbags. Also standard are anti-lock brakes, traction and stability control, and active headrests that don't protrude forward as noticeably as in some recent-vintage Fords. Like most SUVs, the Explorer's tall seating position gives it swell forward visibility--but to the back, it's a little less easy, since thick C-pillars can block the view out over the corners of the vehicle. The very latest in safety gear can be found on the Explorer's options list. Blind-spot detectors, adaptive cruise control and "curve control" that predicts tight corners--and brings the Explorer in line before it gets out of line--are all available in option packages. Still to come is Ford's new inflatable seat belts; designed for middle-row passengers, the belts are said to offer more protection for smaller people in case of an accident. How will those new features perform? None have been crash-tested by independent agencies as of yet, but the new Explorer has been rated a Top Safety Pick by the Insurance Institute for Highway Safety (IIHS). The scores from the National Highway Traffic Safety Administration (NHTSA) have not yet been published. The envelope gets pushed, and the cutting edge gets sharper, with the 2011 Ford Explorer's innovative and still-teething MyFord Touch system. Ford has trimmed Explorer prices with the introduction of the new generation, but it's still fitted the wagon with a substantial list of standard features and goodies. The entry-level $28,995 Explorer has standard power windows, locks and mirrors; a tilt/telescoping steering wheel; steering-wheel audio controls; cruise control; an AM/FM/CD player and an auxiliary audio jack; and keyless entry. For $31,995, the XLT piles on satellite radio; the sport-shift transmission mode; 18-inch wheels; and reverse parking sensors. Atop the lineup is the Explorer Limited. At $37,995, it includes power-adjustable pedals; leather seating; ambient lighting; power front seats; a Sony audio system; SYNC; pushbutton start; MyFord Touch; a media hub with USB ports, an SD card slot and RCA jacks for gaming; and a rearview camera. Ford's MyFord Touch system effectively replaces most of the knobs and buttons on the stock versions with a large touch-sensitive LCD screen. Using fingertips to push and swipe through menus, drivers can change climate, navigation and audio functions--or use buttons on the steering wheel to do most of the same functions. Ford's ultimate goal is to use both of these redundant systems to steer most drivers to voice controls, which MyFord Touch also coordinates via the SYNC system's Bluetooth connections. The system's come under fire from Consumer Reports and other media outlets, for its apparent complexity and the minor glitches in touch sensitivity that have cropped up in the Explorer and the 2011 Ford Edge and Lincoln MKX, which also offer the system. After a pair of long drives, we've become acclimated to the system, and have experienced some of the momentary glitches--like the navigation system locking up during routing to a destination. That said, the long learning curve pays off in less driver distraction; once you've digested the amount of information crammed into each screen, using it or the steering-wheel buttons--or the voice controls--becomes easier, and cuts down on the time your hands leave the steering wheel. If it's an imperfect first step to a safer infotainment experience, it's at least a step--and recognition that drivers want connectivity of all kinds, even when they're barreling down an Interstate. The options list for the Explorer has more connectivity in its spreadsheet cells: the extra USB port allows you to plug in a 3G dongle for mobile Wifi connectivity. Also on the list are a power moonroof; a navigation system; a premium audio system; big 20-inch wheels; ventilated seats; a power third-row seat; active park assist; and coming soon, those inflatable seat belts. Better than average in the crossover class, the 2011 Ford Explorer scales down its powerplants to score big fuel-economy improvements. Ford's earned some wide green stripes in the past few years with its Fusion Hybrid sedan and the Fiesta fuel-miser hatchback. With the Explorer, it's going to grab more green, since the new ute has made a sea-change, with smaller-displacement engines and turbocharging taking the place of big, old, inefficient V-8 engines. The only engine available with the Explorer as of yet is the 3.5-liter V-6. The EPA hasn't yet confirmed its ratings, but Ford says it's looking at fuel-economy scores of 17/25 mpg, with all-wheel-drive versions likely to drop a mile or two per gallon from that figure. On a long day trip in a loaded Explorer XLT AWD, we netted a nice, round 20 mpg. Ford says numbers like those are a 25-percent improvement over the previous Explorer's base V-6, while the actual street performance feels as good as the outgoing V-8. Those numbers also are a bit better than the Flex's 17/24 mpg, and a boost over the Grand Cherokee V-6's 16/23 mpg. Ford's prepping a 237-horsepower, 2.0-liter turbocharged four-cylinder for this new Explorer, and it's claiming fuel-economy improvements of 32 percent for that powerplant. We weren't able to drive it--it's not available until mid-2011. I really like this fast n expensive truck.It run nice.It is popular in my hometown as a police car. I really like this truck.